The Q’eros of Peru, the Handzabe of Tanzania, the Waura of Brazil or the Kalulis of New Guinea… The most beautiful photographic accounts of traditional societies are always the fruit of a great love story between a photographer and his or her corner of the world. The series Photographes-voyageurs (Voyager Photographers) follows five renowned photographers who have formed a strong emotional relationship with the traditional communities that they have been documenting for several decades. The episodes invite us to share these unique relationships, to discover little known cultures and also what goes on behind the scenes of the photographer’s work. 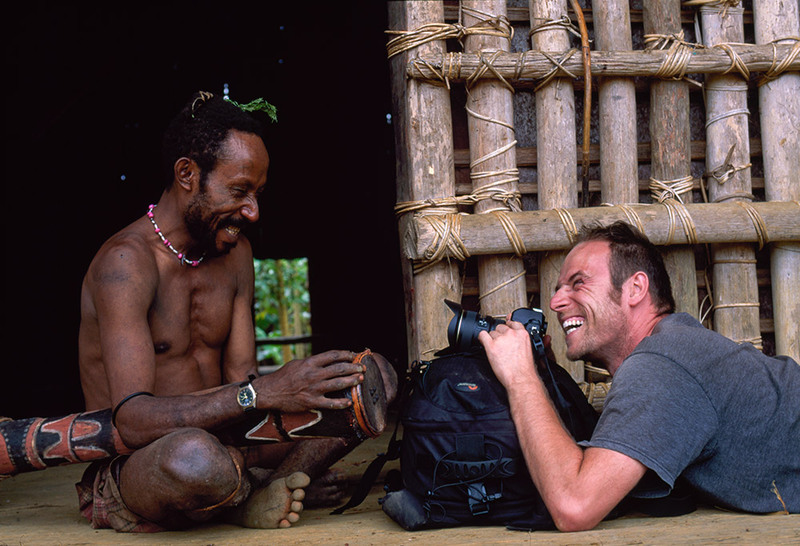 With the photographic quest as the vehicle, each episode holds two promises: the discovery of an inaccessible traditional society, thanks to the close amicable relation between the photographer and a member of that ethnic community, and insight into the photographer’s work, artistic approach and aesthetic universe. Specialists in a region (South America, Africa, Oceania…), each photographer is amongst the tops in their field. Each one has a strong story that binds him or her to a peoples at the end of the earth, as well as a philosophy on travel and an artistic universe that is their own. Each of the film directors who will be following these pho- tographers have also created their own artistic universe. Thanks to the association of these two sensibilities and the complementarity of their artistic perspective, we will discover the daily life of ten communities in a totally different part of the world than ours, ten stories of people and strong friendships and all that through the filter and insight of five filmmakers and five big names in French and international photo- graphy.